How it used to be ! 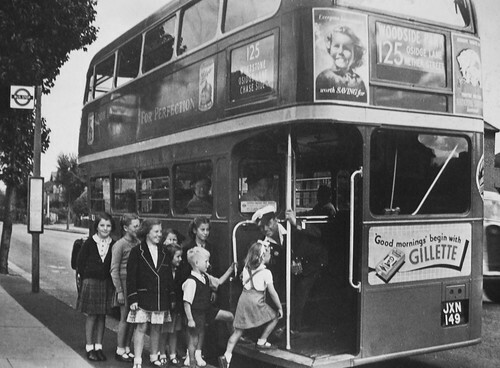 London transport RT1121 Southgate 1949. Extended from North Finchley to Woodside Park at all times. Extended from Woodside Park to Golders Green via Hendon. Extended from Southgate to Highlands Hospital at selected times. 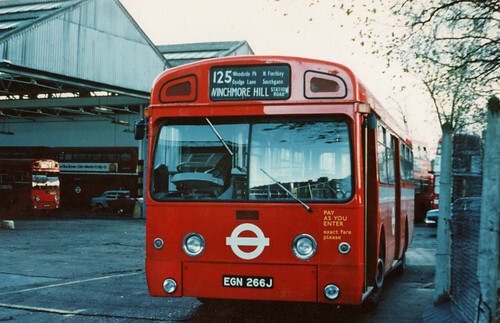 Sunday withdrawn between Woodside Park and Golders Green but extended from Southgate to Winchmore Hill. Sunday withdrawn between North Finchley and Woodside Park. 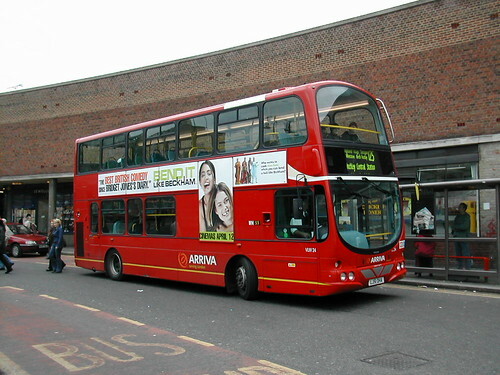 Mon-Fri evgs and Saturdays withdrawn betweenNorth Finchley and Golders Green. 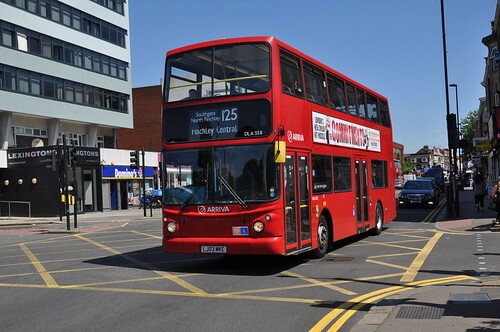 Saturday service diverted at Southgate to Oakwood and renumbered 125A. Saturday service re-instated and extended from Southgate to Winchmore Hill at all times. Converted to single deck Swift OPO. Sunday converted to Daimler double deck operation. 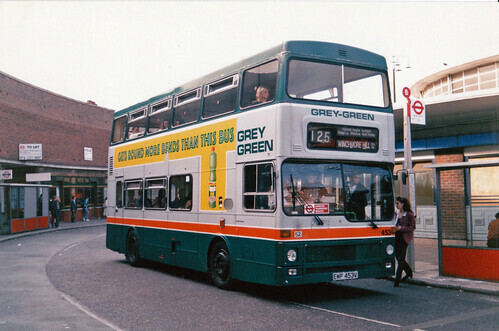 Mon-Sat converted to Daimler double deck operation. 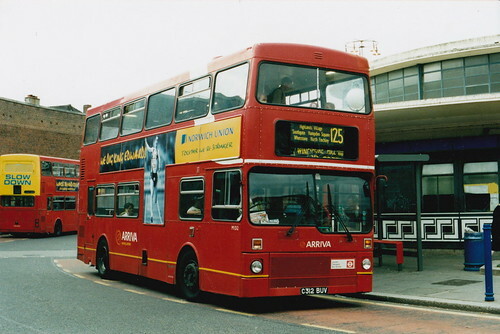 Withdrawn between North Finchley and Golders Green. Mon-Fri peaks extended from North Finchley to Hendon. Withdrawn between North Finchley and Hendon. Operation transferred to Grey Green. Sunday rerouted to double run via Winchmore Hill Station Road. FINCHLEY CENTRAL STN - WINCHMORE HILL. 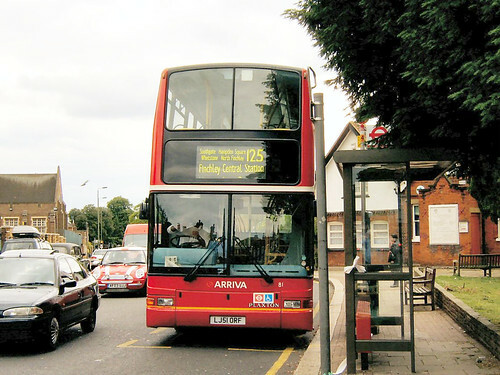 Sunday service withdrawn between Winchmore Hill and Enfield Town. Allocation transferred from Edmonton (EC) to Enfield (E). 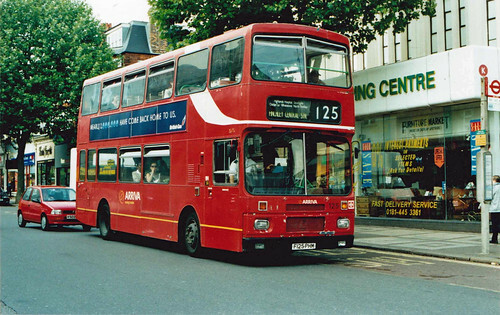 1987-1988 Southgate but driver would board bus at Southgate and take over at Winchmore Hill where existing driver would finish or travel back to Southgate for his/her break.